Grieving parents whose pregnant daughter died unexpectedly have been left even more heartbroken when the money for her funeral was stolen. Devastated Ronnie and Caroline Hall are appealing to catch the thieves who made off with £1,800 and irreplaceable personal items of their daughter Megan after breaking into their car at Eastfield Cemetery on Wednesday last week. The parents were picking out the plot for their daughter’s burial when the money and items (including photographs of Megan) were taken from their parked car. Megan (29) who lived in Newlands Road, Whittlesey, with her eight-year-old son Luke was 26 weeks pregnant with her second child, a baby girl, when she suffered a “catastrophic” brain haemorrhage out of the blue. Despite desperate attempts to save the life of both herself and her unborn child, who was going to be called Sophie, Ronnie and Caroline had no choice but to turn off their life support after Addenbrooke’s Hospital told them all hope was lost. “She started her new drug on the Wednesday and she was dead on the Friday morning,” said Ronnie, describing the treatment Megan was receiving for ITP - a lack of platelets (cells which circulate in the blood). “On the Friday morning we had a phone call saying we have to get to the hospital, Megan’s really ill. We went and they said ‘there’s nothing we can do’, she is gone. “They said it was a catastrophic brain haemorrhage. She was dead before getting to hospital. “Addenbrooke’s told us she was legally dead but we kept the machine on to keep the baby alive. “But she was too far gone. The doctors called us up and we had a discussion and you feel you need to let her go. Megan had been receiving treatment at Peterborough City Hospital where she was having platelet transfusions every week, but according to Ronnie these had not worked, which was why she had decided to trial a new drug. Megan was taken to Addenbrooke’s in Cambridge after her fatal brain haemorrhage on the Friday and remained there over the weekend before the decision was taken to turn off her life support machine. As if the devastation of losing their child and their future grandchild was not enough, things became even worse for Ronnie and Caroline. Two days later they visited the cemetery in Eastfield Road to pick a plot for their only daughter’s final resting place, near other members of the family, only for someone to smash a window of their car and break in. “We went towards the car and it was complete devastation,” said Caroline. “It’s disgusting,” added Ronnie, who like his wife was fighting through the tears. To happen in a graveyard - it’s despicable. The thieves not only stole £1,800 which would have been spent on the funeral but some of Megan’s personal belongings including photographs. The hope for Ronnie and Caroline comes from an eye-witness who they believe may have caught the culprits on camera. And they are also both hoping somebody else out there will know something about the theft and will tell the police to help with their investigation. But while they patiently wait to see if arrests are made there is still the uncertainty of why their daughter died so unexpectedly. “Absolutely we want answers,” said Ronnie, who hopes an inquest will fill in the gaps. Megan has two brothers - Jamie and Darren. It was Jamie’s birthday when she died. “They are devastated,” said Ronnie. Megan was a well known and hugely loved person in Whittlesey, working in the kitchen at the George Hotel after previously working in the nearby Sunshine Cafe. Details of the funeral have yet to be been confirmed. 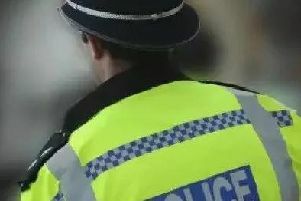 A spokesman for Cambridgeshire police said there had been four thefts at the cemetery since May 30. One of the thefts was the snatching of a handbag, and the other three were thefts from vehicles. Anybody with information on the theft is asked to call police on 101 or submit an online report at www.cambs.police.uk/report. Alternatively, they can contact Crimestoppers, anonymously, on 0800 555 111 or via www.crimestoppers-uk.org.